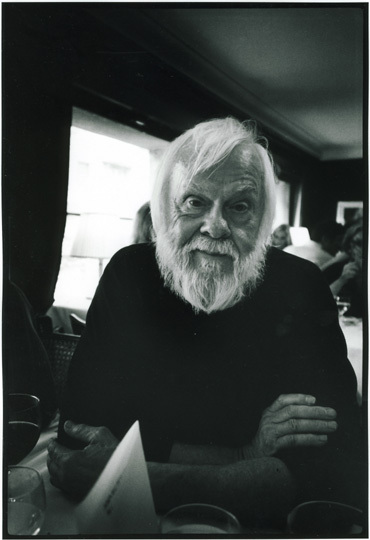 On May 31 2011, the Alliance will honor John Baldessari with an Alumni Lifetime Achievement Award. John Baldessari has become one of the best-known figures in American conceptual art. As a student in National City, California, Baldessari experimented with pastels and watercolors, but it wasn’t until he picked up a camera in high school that his art finally became noticed. “I guess I was good, because there was something called the National Scholastic Art Award in the US, and my art teacher encouraged me to enter. At that time I was experimenting with photography, so I put in a photograph, and I won. That’s where it all began,” John Baldessari remembers in a 2009 interview with European art magazine Tate Etc. Since winning his Scholastic Award, Baldessari’s work has appeared in over 200 solo exhibitions and 900 group shows in the U.S. and abroad. His diverse body of conceptual work includes everything from canvas paintings to billboards, film, photography and art books. Much of his work deals with the nature of imagery, absences and life cycles. Humor also plays a role in his work. In one famous 1970 piece, The Cremation Project, he burned his early paintings from 1953 – 1966 and baked the ashes into cookies. The cookies were placed in an urn that was displayed with the cookie recipe and the paintings’ dates of creation and destruction. John Baldessari’s fifty-year retrospective, John Baldessari: Pure Beauty will open at the Metropolitan Museum of Art on October 20, 2010 and runs through January 9, 2011. Prior to its opening at the Met, the exhibition was on display at the Tate Modern in London; the Museu d’Art Contemporani de Barcelona in Spain; and the Los Angeles County Museum of Art. Recent Alumni Lifetime Achievement Award recipients include sculptor Tom Otterness, painter Philip Pearlstein, writer Joyce Maynard and poet Carolyn Forché.